It’s hard to believe that nearly a century ago, this unassuming two story building housed the offices of the man many call the Father of Animation: Walt Disney. 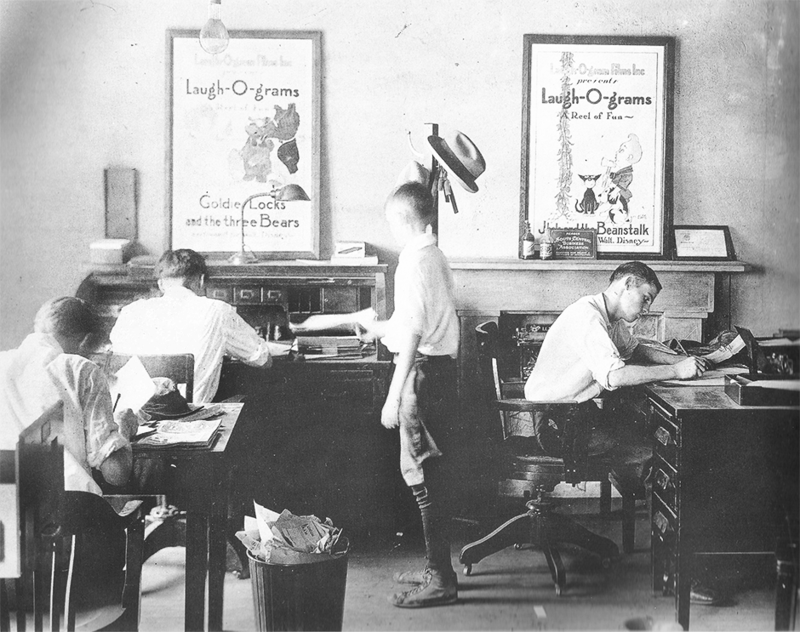 Occupying nearly 2,500 square feet on the second floor of the building was Disney’s first business, Laugh-O-Gram Studio, where he and fellow animators and friends would begin lifelong careers in animation. 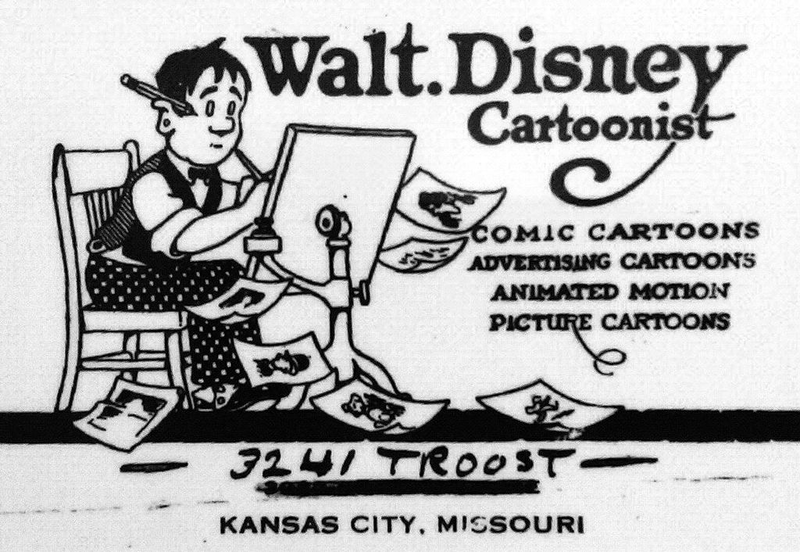 Though the studio wasn’t a grand success for Disney, it was where he and several iconic animators got their start and where characters beloved through the ages and around the world were inspired. It was also in this building that Walt found himself feeding a small mouse. At the time, the mouse was called Mortimer, and was said to sit at Walt’s desk and eat crumbs from Disney’s hands. Before leaving for Hollywood, Disney decided to release the mouse into a nearby field for fear that the cat from the restaurant below would eat his small friend. Legend has it that this KC mouse became the inspiration for the cartoon character everyone knows and loves: Mickey Mouse. Kansas City truly was the cradle of Hollywood Animation. Walt’s friends and colleagues would have successful careers as well, minus the amusement parks. Fellow animators such as Ub Iwerks, Hugh Harmon, Ruby Isling, Friz Freleng and others would go on to have parts in creating some of the most iconic animated characters of all time, including the Looney Toons, the Pink Panther, Merrie Melodies, Tom and Jerry and many more. These great Kansas Citians left an undeniable mark on a beloved industry. Please visit ThankYouWaltDisney.com/Future to learn more about the Laugh-O-Gram Project and how you can be a part of it.